We offer a full range of gasfitting services including installation, maintenance and repair. 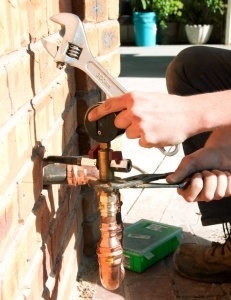 Our Albury based licensed gas-fitters can expertly help you with any requirement you have. Whether you have a big job or small our friendly team are here to help. As licensed gas fitters & plumbers you are assured of getting an expert, safe and professional job each and every time you work with us. Our team of gas fitters can advise you on any regulation and safety aspects of installing, repairing and maintaining gas appliances to ensure the safety of your household. You can have the confidence that all our work is done in compliance with the latest safety regulations. Whether you need a new appliance installed, or a gas leak fixed, our licenced gas fitters can be relied upon to ensure the gas fittings and fixtures around your home or business are installed and maintained for your total safety – and peace of mind.